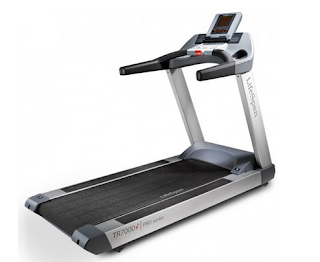 The Bluetooth-enabled TR7000i Commercial Treadmill integrates completely with your iPad® through our free apps, allowing you to operate your treadmill and view more detailed and graphically enhanced readouts of your workout. Once you have completed your workout, simply sync your data from your iPad to the LifeSpan Club — one free membership is included with your purchase. Featured in Runner's World, the TR7000i is backed with our commercial grade warranty.